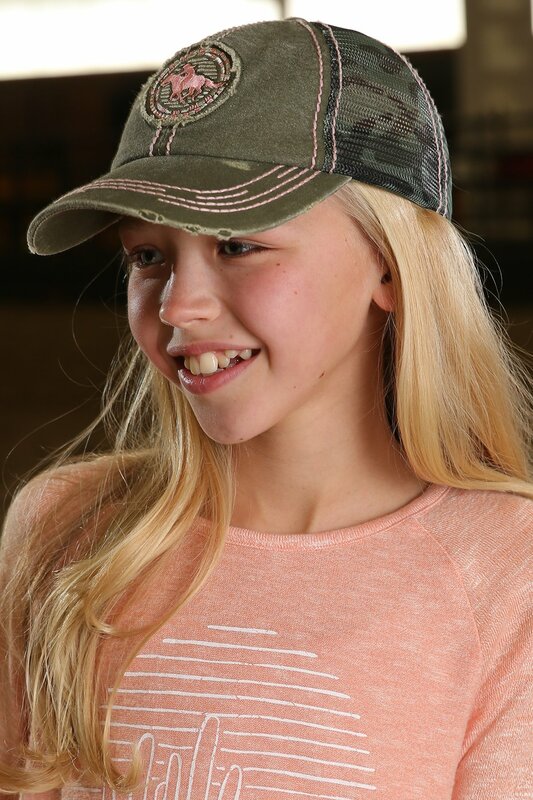 Top off a casual outfit with a mesh back trucker cap that's designed to provide good ventilation and sun protection on a clear day. Raised front patch features horse and rider, while contrast stitching and bill destruction add to the cool look. Back snap closure makes for easy on and off.